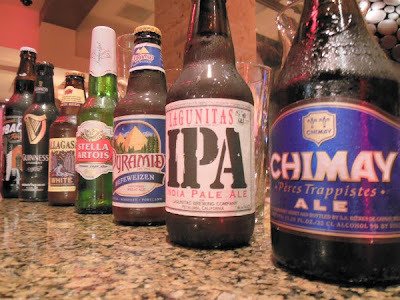 From the San Francisco Bay Area to the Trappist Monasteries of Belgium, we have scoured the Earth to bring you some of the best brews available. Chimay Grand Reserve Blue Cap, Allagash White Ale, and Payback Porter from Northern California's own Speakeasy Ales & Lagers are just a few beers from the new lineup. 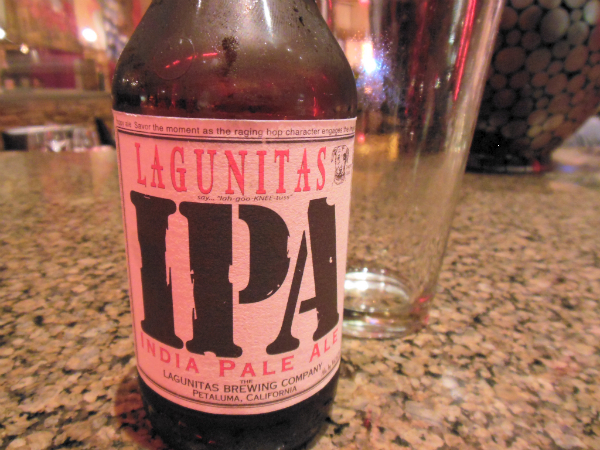 For our Summer Selection, we recommend the Lagunitas I.P.A. Short for India Pale Ale, IPA's are renowned for their light body and refreshing quality, while still maintaining a complexity of flavor and big-time hoppy aroma. This IPA, locally crafted at the Lagunitas Brewery in Petaluma, CA, has a crisp but malty foundation that is the backdrop for a focused, hop-ful finish. This beer goes great with flavorful steak, a strong, sharp cheese like our Rogue River Blue, or is delightful on it's own as a summer sipper.